Now, I've always loved BB cushions: they are like liquid foundations on the go, with the convenience of a compact. I had a great experience previously using TheFaceShop Natural Sun Eco Smart Cushion so I was looking forward to the newest upgrade to the family: TheFaceShop’s Cushion Screen Cell Natural which features the world’s very 1st Screen Cell (0.028mm to be exact!) to create the delicate and flawless coverage. I like the new packaging which reminds me of a cute purple macaron but size-wise do find it larger than the Eco Sun AQ one I had, which makes it slightly hard for me to grasp single-handedly with my small hands. 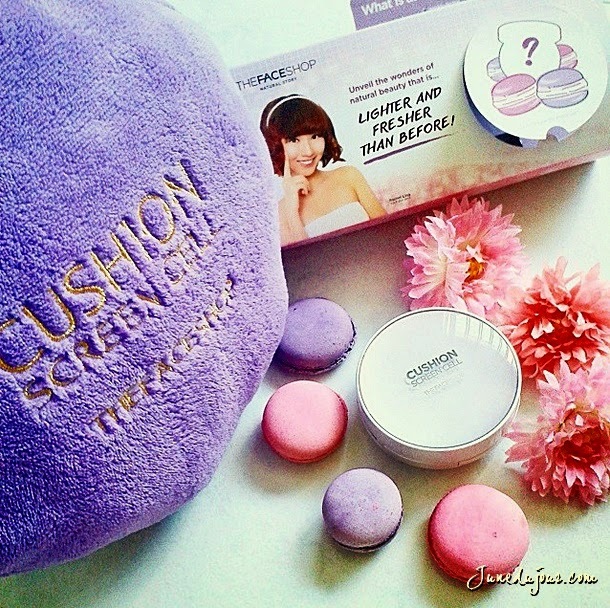 As always, the BB cushion comes double sealed with an adhesive sticker to keep it hygenic and prevent oxidisation. Its 99.9% antibacterial net is very fine, and when pressed down, the products comes out fairly easily. You may have to pump it about 2-3 times at first to get a good amount dispensed though. Coverage-wise, it does not disappoint: 1 layer is enough to generally cover most of my redness around the nose, minor pimples and my enlarged pores on the nose. I'd recommend another layer to really achieve a good medium coverage; for me, I have to still top up with my trusty concealer to hide darkened blemish scars. Extra brownie points for the smooth applicator sponge which I feel is better than the one I used to use, it doesn't crease or break off when bent and does well for product distribution. I like that the silky, lightweight texture allows me to build up coverage without looking cakey. 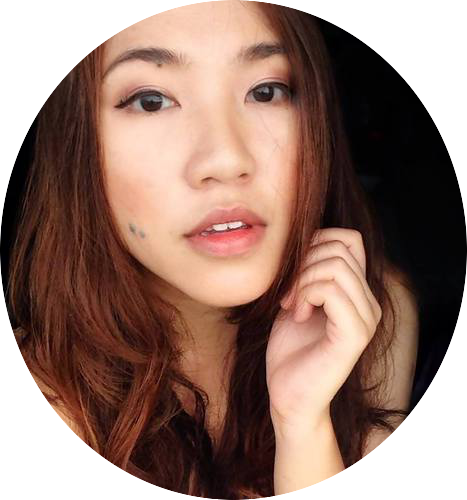 Formulated with HD Blurring Powder, I must agree that it appears to evenly brighten my skin. TheFaceShop Screen Cell Cushion contains patented Mirroring Complex which also adds to the whitening factor to brighten skin and thus reduce the signs of wrinkles; while its patented Essence Powder and 100% Lily Sap Extracts actually produces a long-staying moisturizing layer on the epidermis. And being the lazy girl that I am, the infused sun protection factor (SPF 50+ PA+++) means I don't have to worry about sun damage when I ski...I mean forget sunscreen. I am seriously impressed at how 2 layers is enough to give me good coverage of most of my blemish marks and uneven skintone. And most noticeably is how my complexion looks naturally fairer and brightened, thus livening my tired look while giving just a slight healthy dewy finish much like Korean ladies. And all these, without a drop of concealer or loose powder! 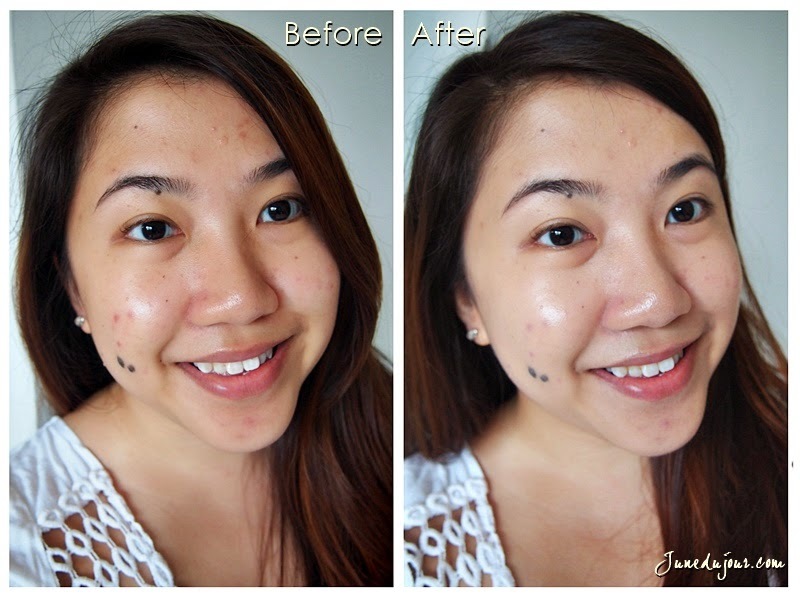 Lighter and fresher than before, I am definitely recommending this to ladies who want a barely there, natural-looking coverage without compromising on sun-protection and good skincare benefits. This is easily a repurchase choice for me; TheFaceShop Screen Cell Cushion Natural is priced at $42.20 and is currently retailing in all store outlets! Thank you TheFaceShop Singapore for sending this my way!